Early in 1989, Peter Schwartz published "On Sanctioning the Sanctioners" in The Intellectual Activist, a short essay critical of supporters of the libertarian movement, and of those who either engage in, or support, the smearing of Ayn Rand. The main message of the article was that we should not sanction—approve of, endorse—that which (or those whom) we regard as evil, with particular focus on those who support groups like the two mentioned: we should not “sanction the sanctioners.” One of the targets of the article was Objectivist writer and lecturer David Kelley, who had spoken at a few libertarian events and had declined to speak out against a critical Rand biography by Barbara Branden called The Passion of Ayn Rand. Kelley replied back with "A Question of Sanction," (AQoS) thus briefly revealing his views of moral judgment, his cost-benefit methodology, and his vision of what Objectivism and the movement could be (and, to him, should be). Especially important for my current essay is Kelley's proclamation that Objectivism is not a “closed system,” but can be changed by our consideration and incorporation of new ideas from other viewpoints, it is “open” to such integrations and revisions—though Kelley doesn't elaborate on this point until his next work. Every philosophy, by the nature of the subject, is immutable. New implications, applications, integrations can always be discovered; but the essence of the system—its fundamental principles and their consequences in every branch—is laid down once and for all by the philosophy’s author. 'Objectivism' is the name of Ayn Rand’s achievement. Anyone else’s interpretation or development of her ideas, my own work emphatically included, is precisely that: an interpretation or development, which may or may not be logically consistent with what she wrote. In regard to the consistency of any such derivative work, each man must reach his own verdict, by weighing all the relevant evidence. The 'official, authorized doctrine,' however, remains unchanged and untouched in Ayn Rand’s books; it is not affected by any interpreters. With that, Kelley was soon disassociated from the Ayn Rand Institute (ARI), and by implication, the movement itself. Not willing to go without a fight, he published in 1990 Truth and Toleration (T&T), which elaborates on the points he made in AQoS, and created the Institute for Objectivist Studies, an independent organization with a similar goal as the ARI: spreading Objectivism in the culture. (The Institute for Objectivist Studies later changed its name to The Objectivist Center, and is now called The Atlas Society.) In 2000, Kelley published a revised edition of T&T called The Contested Legacy of Ayn Rand (CLAR). A philosophy defines a school of thought, a category of thinkers who subscribe to the same principles. In an open philosophy, members of the school may differ among themselves over many issues within the framework of the basic principles they accept. Those issues include a vast array of detailed questions in every area of philosophy, as well as the proper formulation of the basic principles themselves and their interrelationships. And with that, the two approaches were formed. Those who agreed with Peikoff and Peter Schwartz tended to side with the ARI, whereas those who agreed with Kelley joined him at the IOS/TOC/TAS. Of course, the two sides differ on more accounts than just Objectivism being an open or closed system, but that's the focus of my current essay. The issue of “closed” and “open” concerns what Objectivism is and can be, and what our role is as Objectivists and students of philosophy. In the closed system interpretation, Objectivism is strictly “the philosophy of Ayn Rand,” the philosophical material about the philosophy produced in any physical form by Rand, or was endorsed by her in her lifetime. In this understanding, “Objectivism” is an abstract proper noun (an “abstract particular,” in the words of Mike Mazza and Diana Hsieh) that refers to the principles and ideas that Rand regarded as Objectivism, and hence is not a concept that incorporates a host of related philosophical systems. This material includes Objectivist works by Rand, such as essays and lectures, and those of others produced in media which had her approval. These are the official texts and works of the philosophy, acting as a litmus test for future works which proclaim a relationship to Objectivism. Our role as students, Objectivists, and scholars, therefore, is to identify what Objectivism is through these official works, and then to determine for ourselves what other works are logically consistent with Objectivism or not (or create such derivative works). In the open system interpretation, Objectivism is a skeletal collection of basic doctrines that distinguish it from other philosophies—so long as someone agrees with this skeletal form, that person is an Objectivist in Kelley's view (CLAR, p. 84, 85). “In an open philosophy, members of the school may differ among themselves over many issues within the framework of the basic principles they accept. (71)” In this understanding, “Objectivism” is a concept, referring to the ideas pertaining to the philosophy held by any number of adherents and dissenters, containing all sorts of different understandings of what Objectivism is, all possessing the knowledge of the basic doctrines. No published works act as a litmus test; rather, the doctrines listed by Kelley in pages 81-84, and the mind of each individual, serves as the test of what is or is not Objectivism. Our role as students, Objectivists, and scholars, then, is to identify what Objectivism is by understanding these basic doctrines, and to determine what else is contained in the philosophy by creating and/or considering other works, using truth as our guide. (1) The closed system advocates have arrested their own thinking to only the works produced (or sanctioned) by Ayn Rand herself. Their knowledge of the philosophy cannot extend beyond those works of the 1940s through 1982 (the year of Rand's death), in other words. (2) Objectivism, according to the closed system interpretation, is only what Ayn Rand herself produced about the philosophy, not those works she endorsed, such as by Nathaniel Branden and Leonard Peikoff. (3) The open system is about making Objectivism conform to reality, not to the ideas of Peikoff, or even (one can hear a gasp!) Rand. My above description of the closed system is at odds with all three of these charges. For (1), the core ideas and principles of the system are indeed gained by studying Ayn Rand's works and those she endorsed, this much is true. But closed system advocates are using such works as bases for extending their understanding of Objectivism all the time, and present-day writers are creating works to draw out these "[n]ew implications, applications, integrations" of the philosophy, as Peikoff puts it in "Fact and Value." For the serious Objectivist, Rand's works and other "official" Objectivist works are starting points from which they can consider their views in other aspects of life, developing their knowledge of Objectivism throughout their lives. --The ARI has been applying the philosophy of Objectivism to a variety of cultural topics for decades. They haven't sat back, advertising the same Objectivist books and novels, the same Ford Hall lectures by Rand, and so on, attempting to change the world through intellectual stagnation. Yaron Brook, president and executive director of the ARI, was interviewed last spring on how Ayn Rand, her philosophy, and her novel Atlas Shrugged relate to the events of today's world, for instance. 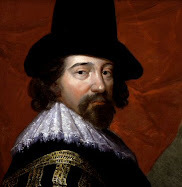 --Stanford professor John McCaskey wrote a paper on the relation between induction and concept-formation as conceived by philosophers/scientists Francis Bacon and William Whewell, mentioning that it is something Rand wrote about only sparingly (which is quite unfortunate, I might add). Even still, the appeal of new (or at least previously unheard of) insights into this area of Objectivist epistemology should be great, seeing as how Rand's use of induction in her philosophic positions is extensive, and well worth exhaustive study. --Dr. Peikoff himself, who, despite thinking Objectivism to be "closed," hasn't, "stopped thinking about [the philosophy]" at all. The author of Objectivism: the Philosophy of Ayn Rand, he's given numerous lectures on the philosophy, such as acting on principle (including moral principle), understanding Objectivism through induction, and the sanction of the victim. There's his collaboration with Dr. David Harriman, who's writing a book on an Objectivist take on induction, The Logical Leap: Induction in Physics. Lastly, there's his book-in-progress, The DIM Hypothesis, the sort of cultural analysis he's dreamed of doing, and quite possibly his magnum opus. What sense would it make to limit "Objectivism" to only Rand's works? She uses terms, formulations, and essays from others (ex. Nathaniel Branden on "stolen concepts," "theory of volition as cognitive self-regulation," and "the fallacy of determinism") whom she regarded as people who understood her philosophy, and incorporated it all into what she regarded as Objectivism. Whether these individuals understood the philosophy is another matter, but their works became primary material on Objectivism once Rand considered them Objectivist literature/work. This isn't an appeal to authority, but a matter of intellectual honesty: she constantly expanded what she took to be her philosophy, including the views of others she agreed with. And it is this issue of intellectual honesty that leads us to charge (3). Claim (3) is that the open system advocates are making the philosophy conform to reality, not to Rand's words or those of the ARI (Peikoff, et. al.) --the closed system approach. This is based on two misunderstandings: one is about what intellectual honesty means here for those of us who didn't originate Objectivism, and the other is what the closed system's policy is on people discovering the truth for themselves. Intellectual honesty here means taking ideas seriously, and knowing what you do, in fact, know. 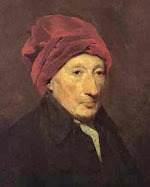 To understand Hume's philosophy, for instance, one should consult Hume's actual works—secondary works can be of great service, but they stand or fall with their consistency with Hume's texts, even if the secondary sources better conform to reality. In being intellectually honest, one discovers what Hume's philosophy is by considering such works, as opposed to changing Hume's philosophic views to what one thinks better reflects the truth. The same reasoning applies to Ayn Rand and her philosophy—this is the essence of the closed system view. In all honesty, I think it's really presumptuous of the open system advocates to imply that they're doing Rand and Objectivism a favor by redesigning and expanding on the philosophy's content in this way. Any such changes would make Objectivism as originally conceived and as expanded by later thinkers virtually indistinguishable, which is naked plagiarism. What, then, is the correct approach? An honest person should be expanding his knowledge about Objectivism and beyond it; if he finds material that expands his understanding of the philosophy, and is logically consistent with it in his determination, then he should reap the benefits of such knowledge, and even pass it on to others whom might be interested; if he finds material that conflicts with the philosophy, and he agrees with that, then he should reap the benefits of such knowledge as well, which includes understanding on what issues he agrees or disagrees with Objectivism on, as with any other philosophy or theory, and giving up the title "Objectivist." This is all that the closed system requests of those who study Objectivism. Not blind allegiance, nor holding on to labels, nor articles of faith, nor disregarding non-Objectivist or anti-Objectivist works, but intellectual honesty. It means considering yourself an Objectivist when you agree with Rand's philosophy, qualifying your ideas when you don't, and even forming a new philosophy when you see fit. From what I've written above, it should be clear how off-base Kelley's comments here are. Peikoff's view, that of a closed Objectivism, certainly does not mean that we must choose between adherence with Rand's philosophy at all costs, or tossing the philosophy out once we've reached the slightest disagreement with its principles. He's taken the worst possible interpretation of what an "authorized, official doctrine" could be, ignoring the obvious fact that in academia, works are (rightly) distinguished as "primary-authoritative" and "secondary-derivative" of some theory or viewpoint all the time, and that this is the context of Peikoff's claims. What is the proper policy on this issue? If you agree with some tenets of Objectivism, but disagree with others, do not call yourself an Objectivist; give proper authorship credit for the parts you agree with and then indulge in any flights of fancy you wish, on your own. Notably, to even attempt his project of reconstructing Objectivism, David Kelley needed to retain title to 'Objectivism.' After all, if he designated his new hash of a philosophy with some new name, few (if any) people would have paid it any attention whatsoever. Objectivism might not be revered or even respected in academia, but it is at least known to exist. The name is also a substantial draw for regular folks interested in Ayn Rand's fiction and philosophy. It's not the don't-mean-nothing-to-nobody that something like 'Kelleyectivism' would be. I haven't given much of a defense for the open position, for a multitude of reasons. First, I don't accept that it accurately reflects an individual genuinely trying to understand the philosophy and grapple with the facts of reality. Secondly, the best defender of that viewpoint, Kelley, shoots himself in the foot when he produces his "list" of Objectivist principles and ideas that he thinks truly constitutes Objectivism (which, presumably, are "closed" to revision as far as he's concerned). Thirdly, I totally disagree with the justifications that Kelley proposes for the open system, which state openly that closed system advocates are only interested in studying Objectivism's authorized works and never want to extend their knowledge, and that the philosophy is only a skeleton and covered in uncertain principles and likely even mistakes (ex. Kelley's discussion of "measurement-omission"). Fourth, it doesn't make any sense when we compare it to how we study and learn about other philosophies: in such cases, we read the authoritative sources, and judge the merits of derivative works by their coherence to the authoritative works, the whole time we're determining what is true regarding the philosophy—discovering which philosophy is true is a different, but related, task. So ends my analysis of the closed vs. open issue. I'm more than willing to discuss aspects of this in the comments, or even as another note, if necessary. Aquinas was an Aristotelian, but what is original with him, such as the five proofs of God, we call Thomism to distinguish it from Aristotle and everyone else. Averroes was an Aristotelian who wrote commentaries on the Philosopher, but Averroes originated we call Averroism. Plotinus developed Plato's ideas, which we call Neo-Platonism. Augustine might have thought he was just a Christian, but we call his philosophy Augustinian. If an Objectivist developed, say, a theory of induction, it would get a new name to distinguish it from Ayn Rand's works. Treating philosophies as closed systems is necessary to understand the history of ideas. If John Doe comes up with a philosophic theory that is perfectly consistent with Objectivism, it still should be called Doeism or something else. Otherwise, we couldn't fully understand the new idea and how it fits in the history of philosophy. This only seems to make Kelley's point. WE call what is original to Aquinas "Thomism" and what is original to Averroes "Averroism" but Aquinas would not have described himself as a Thomist but as an Aristotelian. So why shouldn't Kelley call himself an Objectivist? Incidentally, I find it interesting that, unlike these other cases Rand does not call her philosophy Randianism.